When you are put on some medication to treat certain ailments depression comes as a side effect. It is always prudent to inquire from your doctor what the side effects of the medicine prescribed are to you. You could ask for an alternative, if possible, to the drugs already prescribed by your physician. It is also important to avoid self-medication as this can lead to side effects that a doctor may have picked out before prescribing such drugs. Depression can also be caused when you lose a family member, someone who was dear to you or even a pet. It’s a natural process; their loss or death can cause you to go into a state of depression. Grief and sadness are triggers for more chronic depression in many cases. In as much as falling ill is natural and happens without the intent of the victim some diseases can cause the affected to be depressed. Lifestyle diseases like cancer and disability may leave the affected depressed. Such conditions leave the affected in a state of dependency and helplessness which may cause them to be depressed. Depression at times can be passed down in genes from one generation to another. 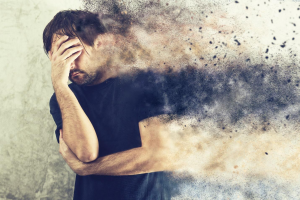 Depression, just like many known psychiatric disorders, is a complex trait that is carried in many genes that exert a minor effect as opposed to one gene causing the condition. Having a relative or parent with depression does not automatically mean you will have depression. Various conditions and circumstances you are exposed to can trigger depression and cause the carrier to suffer from the symptoms of depression. Depression treatment should be administered early. You may feel you have the symptoms of depression under control and don’t need to get treatment for the condition. There are however some red flags that you should look out for to know if it is time to see a professional for help. We all feel depressed from time to time, and it does not last that long, however, if the feeling persists for more than a few weeks, then you should seek treatment. Another dangerous sign that depression is getting out of hand is if you start planning to commit suicide. Having suicidal thoughts or planning to commit suicide are huge red flags. If you are having any kind of suicidal ideation, call someone right away.